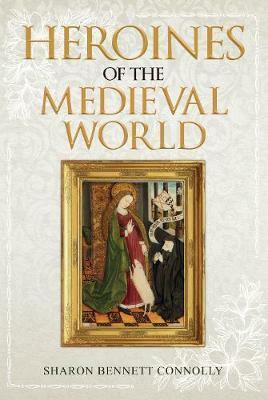 These are the stories of women, famous, infamous and unknown, who shaped the course of medieval history. The lives and actions of medieval women were restricted by the men who ruled the homes, countries and world they lived in. It was men who fought wars, made laws and dictated religious doctrine. It was men who were taught to read, trained to rule and expected to fight. Today, it is easy to think that all women from this era were downtrodden and obedient housewives, whose sole purpose was to give birth to children (preferably boys) and serve their husbands. Heroines of the Medieval World looks at the lives of the women who broke the mould: those who defied social norms and made their own future, consequently changing lives, society and even the course of history. Some of the women are famous, such as Eleanor of Aquitaine, who was not only a duchess in her own right but also Queen Consort of France through her first marriage and Queen Consort of England through her second, in addition to being a crusader and a rebel. Then there are the more obscure but no less remarkable figures such as Nicholaa de la Haye, who defended Lincoln Castle in the name of King John, and Maud de Braose, who spoke out against the same king's excesses and whose death (or murder) was the inspiration for a clause in Magna Carta. Women had to walk a fine line in the Middle Ages, but many learned to survive - even flourish - in this male-dominated world. Some led armies, while others made their influence felt in more subtle ways, but all made a contribution to their era and should be remembered for daring to defy and lead in a world that demanded they obey and follow. Sharon Bennett Connolly has been fascinated by history for over thirty years. She has a BA Honours degree in History, Business and Law and has worked as a tour guide at historical sites. Her blog, History ... the Interesting Bits, concentrates on (but is not confined to) the medieval period and the lesser-known people and events of history. She also writes for The Review Blog.